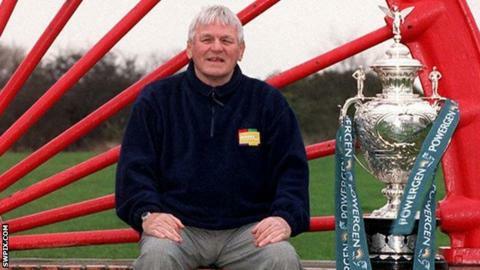 Former Great Britain and Bradford Northern coach Peter Fox has died at the age of 85. Fox, whose brothers Don and Neil also played professional rugby league, had spells with clubs including Featherstone, Batley and Hull KR. As a coach he led Featherstone to the Challenge Cup and twice guided Bradford to the title, and also had spells at Wakefield and Leeds. Bradford said: "Our thoughts are with Peter's family at this difficult time."